Deputy President William Ruto has said that the government has set aside Ksh3 billion to rebuild the Gikomba market that burnt down in June. “We have to stop these incidences of fires ever year, that is the reason we are investing Sh3 billion,” said Ruto. 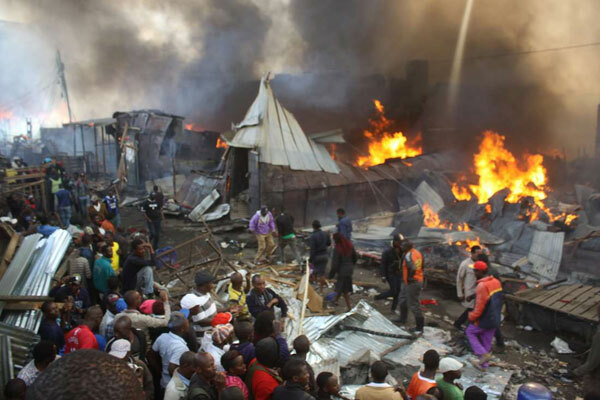 At least 15 people died in Gikomba fire which broke out late last month, while more than 70 sustained injuries. The Deputy President also promised Eastlands dwellers that he would issue a total of 30, 000 title deeds by the end of the year, and investment in road network. “We have set aside Ksh4 billion for road construction in Eastlands, about 100 kilometres. We now have a firm contract and we will be monitoring the construction,” Ruto told congregants.